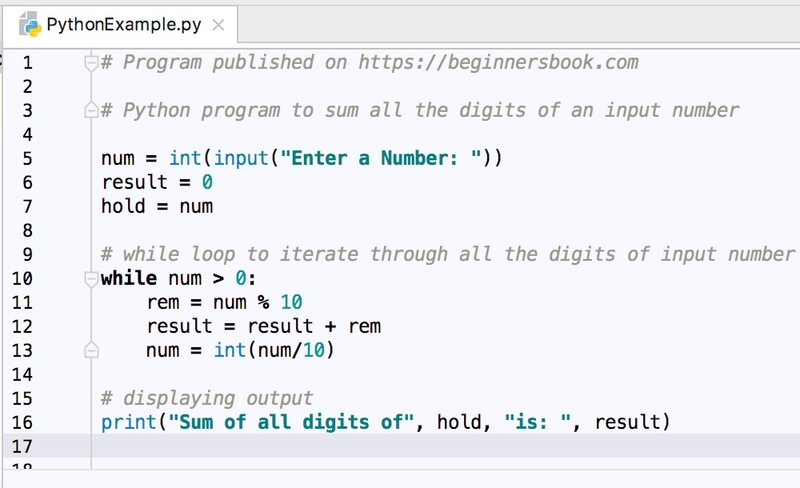 In this tutorial, we will write a simple Python program to add the digits of a number using while loop. For example, if the input number is 1234 then the output would be 1+2+3+4 = 10 (sum of digits). In this program user is asked to enter a positive number and the program then adds the digits of that number using while loop.